I have one simple and easy piece of advise to give when it comes to slang terms: stay away! To use an American expression “don’t touch it with a 10-foot pole” – meaning “don’t even go near that one. If you live in a foreign country and get to the point where you can speak the language rather fluently the temptation is great to adopt slang terms, or maybe dialects and regional expressions. Some of that can be okay, some might be unavoidable and some should be avoided at all cost – 10-foot pole stuff. Let’s start with the unavoidable. I live (lived, will live) in California. Wide roads with multiple lanes, on-ramps and exits and no cross traffic are called freeways, technically speaking freeways are limited access highways. So in Northern California we take freeways to get to work/wherever and we refer to them by number. We would, for example say something like: “I take 280 South and then 880 East to get to work”. In Southern California people also take freeways to work but their they use articles, so they would use “the 405″ to work but the 10” to get to the beach. What we never ever use in California are things like turnpikes. That’s for those Eastern folks. In California we eat subs, not sandwiches and if we talk about you in the plural we will say “you” or something like”you guys” but never y’all. That’s what they do in the south or mid-west or wherever. So if a foreigner picks up the “y’all habit” when living in “y’all territory” that is pretty much unavoidable and okay. I use the expression “you guys” all the time, giving away my Californian “heritage”. So something like: “you guys, let’s take 280 instead of 101 to go to the city” is perfectly acceptable. Were it gets less acceptable are expressions used by an ethnic or other groups you do not belong to. If you are a white woman from Germany it will sound stupid if you try and speak like a black kid in the Bronx. It will also sound stupid if you if try and speak like a surfer dude or your teenage daughter. It starts with you not sounding authentic and not being able to carry on a whole conversation in that style and ends with you likely using words that are so last week. That then, instead of making you sound cool, makes you sound lame. There is also a risk of mixing perceived cool terms, slang and regional vocabulary that do not go together in one sentence making it sound even weirder. To make this effect clear I always think about how a foreigner with an accent (because most non-native speakers will retain some form of accent) would sound mixing Swabian words, with Saxon words and a few far northern idiosyncrasies thrown in for good measure. Add to that a few words my pre-teen son uses with abandon and you have the perfect storm of ridiculousness. If you do an exercise like that with your own language in mind you’ll undersatad what I mean. Some of these slang terms eventually make it into the common language by which time they may be carefully adopted in special situations; although I have to say that I find all the “yo, bro” and “whazz up, dude” going on between middle aged men rather annoying. Something similar goes for women in their 30s, 40s and beyond who scream in high-pitched voices “oh my gosh, this is ,like, so awesome” as if they were 15 years old. Not so good. So, again, my advice would be to stay away from the slang and the overly colloquial terms as well as any language that is associated with a specific group you do not belong to. Of course I am expressing my own views in this blog, not some universal truth but I have seen these things go wrong so many times that I am at least claiming to have a well-informed opinion on this. An opinion nevertheless. What type of food do you prefer? Holidays – Christmas is my favorite holiday. Halloween is fun. These are so to speak the official exceptions, those you can read about in books and on other webpages but then there are some that I have encountered repeatedly and I have grown used to but really can’t explain or find a proper explanation for. Here is what I mean: When speaking about babies people often drop the article. You will hear sentences like “make sure baby’s head is not covered with a blanket.” If that sentence addresses a particular set of parents with a specific baby then the sentence should be “make sure the/your baby’s head is not covered with a blanket”. If, however, one is speaking about babies in general the imperative would not be used and the sentence would be something like “Babies’ heads should never be covered by a blanket”. I suspect “babies” or “baby” in such sentences is used as a placeholder for a name. And since we don’t know whether this particular baby is called Michael or Michelle they are called “Baby” as name. I suppose it is meant to sound more personal – to me it sounds weird to this day. Something similar happens with legal counsel but probably not for the same reason. In business you will hear sentences like “let’s run this by Counsel” or “we need to get Counsel’s approval.” However, you wouldn’t say, “let’s run this by doctor/CEO” it would definitely be “let’s run this by the/your doctor/ the CEO.” Why Counsel here is treated like an general concept as in #1 above rather than an individual is unclear to me. Maybe people want to give the impression that they have a whole, well-oiled legal machinery supporting them rather than one little lone lawyer – but I am just guessing here. Another confusion is around the use of “you/your” in certain instances where, e.g. in German and also in Spanish nothing would be used. A recent example is from I trip I took to Austria. On the freeways they had signs up that encourage people not to drive to closely behind the car in front of them. And surprisingly, those signs were in English. Discouragingly, though, they said “keep the distance!” “Wrong”, I screamed, “it has to be ‘keep your distance'”. My German friends did not understand where the “your” is coming from and I couldn’t explain it. I just knew that nobody would ever say “keep the distance”. It just sounds weird. Driving 90 miles per hour I missed the opportunity to take a picture of this faux pas – darn. So here we have a few exceptions to mull over. Like with all languages, the little things like keep your distance and keep the distance can make a the difference. Welcome to the new additions to the Oxford Dictionary. 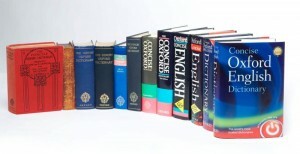 The Oxford English Dictionary recently released the latest words that are no officially part of the English languages, as opposed to being used but not being “official”. Some surprised me because I expected them to be official words for, like, ever, some because I didn’t even know the word or I knew the word but didn’t know it had that additional meaning that now as made official. Some others are pretty much non-events. Let’s look at a few. High on the list of media attention grabbing new words is “twerk”, the dance move, popularized in 2013 or thereabouts is defined as dancing “in a sexually provocative manner, using thrusting movements of the bottom and hips while in a low, squatting stance.” – Now that is a long explanation for something that everybody, who has ever seen Miley Cyrus do anything, grasps intuitively. Welcome to official existence, twerk, you child of twisting or jerking. One of those I stare at and wonder is “gimmick”. It supposedly means “a night out with friends”. I have never heard it used in that sense and maybe it just isn’t something Californians use. The good old gimmick I know and like has the following meaning: “an ingenious or novel device, scheme, or stratagem, especially one designed to attract attention or increase appeal“. How the word made it from trick to happy hour I can’t begin to explain. One I had never heard used is “fo’ shizzle”, slang speak meaning “for sure”. I seem to not travel in the right circles for that kind of slang. Then there is guerrilla used in the sense of “describing activities carried out in an irregular and spontaneous way”. Now, maybe my job has biased me but I have know and used guerrilla in this sense for years. In fact, I probably have used it more often in this newly approved sense then the original one. So again, welcome to the world of officially approved terms, guerrilla marketing. What else is new? The universally used “meh” that expresses a profound lack of excitement and enthusiasm which seems to date back to the early 1990 and the Simpsons. Another popular culture addition is “Twitterati”, describing prolific users of the social networking site Twitter, plus many many more, some of which I am very unlikely to ever use. But it is good to know that there are words for things I might want to say, one day. This is the first of a small series of German language blog entries that are designed to address some common mistakes Germans speaking English make. Some content might be redundant with the content provided in the English language blog. In dieser kleinen Serie fasse ich einige der haeufigsten Fehler zusammen, die Deutsche im Englischen machen. Fangen wir mit den an sich einfachen aber doch haeufig verwirrenden Konzept des “besitzanzeigenden s” an, das im Deutschen am ehesten dem Genetiv entspricht. Im Deutschen wird der Genetiv – der ohnehin fast nie benuetzt wird – ebenfalls durch ein s signalisiert. “Das Haus des Grossvaters/Grossvaters Haus ist der Stadt” waere ein Beispiel. Unuebersichtlicher wird es bei Worten, die auf s enden, denn dann gibt es zwei Moeglichkeiten” Grandpa Charles’s house is in the city” oder “Grandpa Charles’ house is in the city.” Beide sind richtig und haben ihre Grammatik-Gurus, die die eine vs. die andere Schreibweise befuerworten. Die einfachste Empfehlung ist, dass man sich fuer eine Schreibweise entscheiden soll und diese dann auch durchgehend verwendet. Natuerlich gibt es jede Menge zusaetzlicher Regeln und Empfehlungen, was man mit Worten, die auf x oder ch enden macht, was wenn es Eigennamen sind oder auf s enden oder Worte, die auf zwei ss enden und vor einem Wort stehen, dass mit s anfaengt? “the hostess’s sink” – “das Wasch/Spuelbecken der Gastgeberin” waere so ein Beispiel – dass ja recht bescheuert aussieht. In vielen Faell ist ebenfalles gesunder Menschenverstand und Konsistenz gefragt. Wenn man schreibt dass man bei den Joneses zum Abendessen war dann sollte man mit den Sanchezes ins Kino gehen. Wenn man allerdings bei den Jones’s diniert hat, sollte man mit den Sanchez’s ins Kino. Wichtig ist erstmal, dass man die Grundlagen richtig hinkriegt, um Missverstaendniss zu vermeiden oder nicht wie ein Ignorant darzustehen. 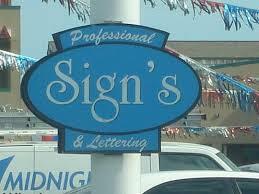 Das ist ein ganz normaler Plural muesste also “Signs” sein, nicht sign’s. Das Schild macht so ueberhaupt keinen Sinn. 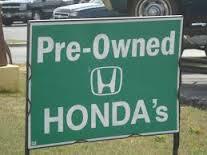 Das gleiche Problem, Hondas ist ein Plural – viele Honda Autos. Wieder ergibt das Schild so keinen Sinn. In einem normalen Plural hat ein ‘s nichts verloren. Meine zwei Soehne sind “my two sons” nicht “my two son’s” or “my two sons’ ” Das letztere waere richtig wenn es von einem Nomen gefolgt waere. z.B. my two sons’ boat- das Boot meiner zwei Soehne, also ein Boot das beiden gehoert. Ein Possessiv braucht ein Apostroph, sonst ist es kein Possessiv sondern ein Fehler. Bevor es ganz bloed und umstaendlich wird kann man sich meistens mit einer Umschreibung behelfen. Also statt “Illinois’s constitution” also “Illinois Verfassung” kann man ohne weiteres “the constitution of Illinois” sagen, also “die Verfassung von Illinois” oder – vermutlich korrekter im Deutschen “die Verfassung des Staates Illinois”. Wenn man das gemeistert hat, kann man schon mehr als viele Muttersprachler. A few words recently came to my attention that Germans often get wrong but that are not false friends per se. It is more that everybody presumes that these are English/American words because they sound English when in fact their are not. These mistakes are hard to avoid – because they are made in the conviction that the words/terms used are English and as such never questioned. The most well-known one is “Handy” the term universally used in Germany for a mobile or cell phone. The “y” at the end and the English pronunciation generally used for the “a” makes people believe that they are using a proper English word. Most are very surprised, many to the point of thinking it is a joke, when they are told that no such a thing as a “handy” exists in the English language. Somebody asked me the other day what “handy” actually means in English but I had to pass. Other than a slang meaning that I wasn’t prepared to discuss while the kids were in the room I couldn’t think of any. A funny one, and probably an American English rather than British English one is “beamer”. 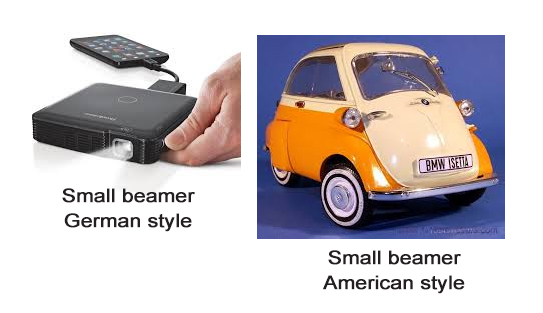 Germans use “beamer” – an unquestionably English term – for a projector. One of those handy-dandy things one attaches to the computer that enables one to project the computer screen to a large external screen. There is a beam of light so, undeniably, this makes a certain amount of sense. However, in American English a beamer is something quite different, namely a general term of a BMW. Don’t ask me how this came about, I assume it has something to do with BMW being a mouthful and beamer keeps the B and M sound but does away with the clunky W while making it sound fast and sleek. After having spent almost a year in Germany I fell for it myself the other day. In a meeting I said that it would be good to have a …. what’s that word? …. you know that thingy that projects to the wall …. a beamer.” I caught myself a split second later and corrected myself but not before seeing some blank stares and silly grins. In English, as Wiki states, is the condition of a deceased person, often of high social stature, whose body is available for public viewing. In German or rather “Denglish”: the live broadcast of a sporting event to a public square on which 100 to many 1000s will rather to watch together. There are a bunch more but those are a few of the good ones. If you have a favorite please let me know!